Congratulations! You have taken the first steps on the journey to the smile of your dreams! Here's a list of what you can expect. Be sure to follow the NO FOODS LIST, staying away from anything HARD or CRUNCHY! Sugar Free gum is okay to chew. NO BUBBLE GUM! Eating these types of foods can/ will result in breaking brackets and distorting your wires. This will result in delaying your treatment and could cause you to be in braces longer. If you notice that a bracket has broken, feels loose, or if a wire is poking, please contact our office as soon as possible! Our staff will access the situation and determine if a repair appointment is needed. In the meantime, you can use the wax ( given to you at initial bonding) to cover the bracket/ wire to make it comfortable. Make sure that you are brushing and flossing thoroughly and correctly. Brushing 3x a day ( morning/after school/ night) and flossing before bed. Also, it is important to continue seeing your general dentist regularly for routine cleanings and maintenance. Failure to do so will result in permanent staining o teeth, cavities, painful swollen gums and possible removal of braces if too severe. We will check your brushing/ flossing at every appointment. Please brush your teeth at our tooth brushing stations before each of your appointments. We will see you every 6-8 weeks for regular orthodontic adjustments. We encourage parents to be present for all appointments. This will allow us to discuss how treatment is going and go over any questions or concerns you or parents may have. If you are given elastics, it is extremely important that they are to be worn day and night unless otherwise directed. If worn as directed, this could mean less time in braces. Most people experience tooth soreness for a few days after starting each new stage. This is normal. It is a sign that the Invisalign aligners are working, moving your teeth to their final destination. This soreness should gradually go away a couple of days after inserting the new aligner in the series. Unlike traditional braces, you can usually eat and drink whatever you desire because you remove your aligners while eating. Thus, there is no need to restrict your consumption of any of your favorite foods and snacks. You may not eat or drink anything other than cool water while your aligners are inserted. This is to avoid the formation of cavities/staining/ or warping of the aligners due to hot heat. NO gum chewing while aligners are inserted! We discourage the use of tobacco use while aligners are inserted, as it will stain the aligners. If you loose or break and aligner, you should call our office immediately! 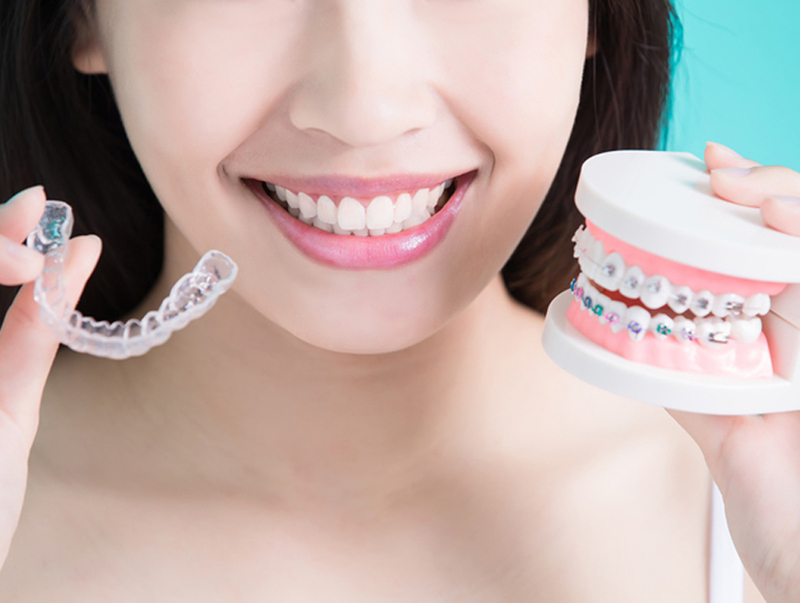 Most likely we will advise you to to start wearing your previous set of aligners until a new aligner can be ordered. Aligners usually take a few days to be ordered/shipped/ and arrive in office. If you break or loose an attachment, contact our office. Our staff member will access the situation and inform you on what your next steps should be.